Pros: Hamilton Beach 33135 3-in-1 slow cooker is designed for versatility. There are foods that require a specific size of crock. 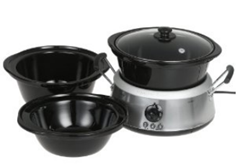 With 33135 slow cooker from Hamilton Beach, the users have three choices of vessels. Each vessel fits on just one lid for convenience. It is also easy to keep because all two smaller vessels fit on top of the other so that the largest crock holds the other two. 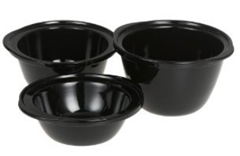 Cons: For all three vessels, there is only one lid, which when broken, will need a replacement to use the other two vessels. Much care should be practiced in handling the vessels and lid to ensure continuous enjoyment. The unit has control pad for the settings, however, there is no lights to indicate the status of the cooking or whether it is working. Hamilton Beach 33135 is the most versatile slow cooker with three sizes of stoneware vessels included in its set. All three vessels fit the electric base made of stainless steel housing. The glass lid, too, fits all crocks and functions to efficiently maintain the nutrients, heat, and moisture of food. Hamilton Beach 33135 3-in-1 slow cooker features three different sizes in gradual sizes to fit the cooking needs. The three vessels measure 2 quarts, 4 quarts, and 6 quarts to entirely eradicate the size issue in cooking. There are recipes that are best cooked using a larger crock and some that should be cooked in smaller. It also fits small to large family sizes. To test the cooking capability of the vessels, the smaller crock has been used to cook a quick bread recipe, which cooks in an hour. The 4-quarts vessel has also been tested to cook beef stew filling the capacity of the crock. 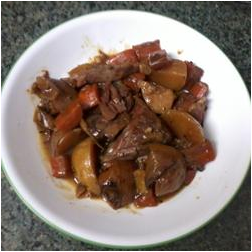 In 9 hours, the beef stew cooked with great taste. On the other hand, the 6-quarts pot meets up its temperature promises to cook ingredients without over or undercooking. It can provide heat up to more than 220 degrees. When not in use, all three vessels are placed on top of the other for easy storage. Hamilton Beach 33135 3-in-1 slow cooker has four settings to adjust its heat. Users can choose High, Low, Keep Warm, and Off. The Low setting is used when there is much time to spend for cooking and for other tasks. The electric base is as tall as 6 inches without the crock, which has 4 inches additional length above the base. However, with its height (shorter than regular slow cookers), it can deliver adequately the desired heat for cooking. The unit has push-button control pad on its front to allow you to choose which crock size is used, and which adjusts the electric base to provide the exact temperature. The versatility and compact storage are the selling point of Hamilton Beach. The three stoneware vessels in ascending size fit in the electric base and lid. It is ideal for everyday use. It can cook sops, pot roasts, casseroles, curries, and more using its three vessels. The slow cooker also has one year warranty. Although Hamilton Beach 33135 has three vessels, they are all easy to keep and maintain. As mentioned, all three vessels can be placed on top of the other. The largest crock can nest on the base. All vessels are made of stoneware that is easy to wash with water and dishwasher agent. The lid, which is made of tempered-glass, is washable by water and cleaning agent. The housing is made of stainless steel and cleaning is as easy as wiping it with a clean damp cloth, should there be any food stains. The internal portion of the base can also be cleaned up using wipes or cloth. Hamilton Beach slow cookers use stoneware, which is fire-resistant. It can withstand heat from the oven and microwave. During the trial of the pot’s cooking capability, the 6 quarts had been exposed to more than 220 degrees of heat for close to nine hours on a low setting but increased temperature. This means that the electrical system of the slow cooker is tested for longer slow cooking. The stoneware does not retain the substances from the cleaning agent. Because it is a type of ceramic, it will not cause any harmful reactions to food of all ingredients. It has two side handles for safe transfer of the housing. Hamilton Beach 33135 measures 15 inches x 9 inches x 15 inches. With its housing, it measure 16.8 inches x 14.3 inches x 16 inches and weighs 21 pounds. In shipping, the product weighs 23 pounds. The vessels come in three with measuring capacity of 2 quarts for the smallest crock, followed by 4 quarts, and 6 quarts respectively. The base has 12 inches in diameter and stands 6 inches tall, without the crock. When the largest vessel is used, the height reaches 4 inches more above the base. The side handles of the housing extend to two inches on both sides for safe handling. Hamilton Beach 33135 3-in-1 slow cooker comes with three vessels for more versatility in cooking. It also has one recipe booklet. 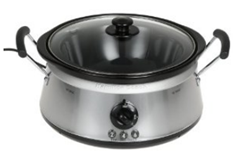 Hamilton Beach 33135 3-in-1 slow cooker earned 107 customer reviews. On average, it has been given a rating of 4 and a half stars for its clever design. Of the 107 reviews, there were 140 readers, 137 of them found the reviews helpful. Only seven customers gave the unit a one-star rating, 9 gave two stars, three for three stars, 18 for four stars, and 70 for five stars. I just got the 3-in-1 a few days ago and have only used it once, but I’m so impressed! My mom asked me what I wanted for Christmas, and I told her I wanted a crock pot. This is the one she gave me, and I am absolutely thrilled with it! Let’s face it, one crockpot is the same as another for the most part. 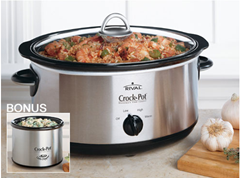 The three separate crocks is definitely the best way to have the convenienceof multiple sizes of slow cookers taking up much less space than individual appliances. 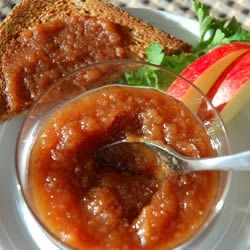 We had this product before but it was distroyed by hurricane Irene. Liked it so much we bought another! Very versatile and easy to use, clean and take care of. Results with foods always excellent! In Amazon, Hamilton Beach 33135 had been listed at $71.99. As of this time, however, the unit is on sale. You can check the current price at Amazon.